Florida Keys museums are not typically the first thing that comes to mind when thinking of vacations in Florida Keys. Spectacular Florida Keys fishing, Key West beaches and Key Largo diving do. But? Well surprisingly, there are a number of locations that house some rather fascinating, and unique exhibits. And who knows? Maybe while you're exploring some of these great places, you'll also find that perfect gift or memento you've been looking for. Perhaps an unusual and beautiful butterfly gift for someone special back home. It may even be a spectacular reproduction of a John James Audubon amazing masterpiece. Out of all the Florida Keys, Key West has more museums then Key Largo, Marathon, and Islamorada combined. You'll also find that when in the Lower Keys they'll sponsor different Key West events you'll want to take in. The collection of repositories throughout the Keys cover a broad and interesting range of themes from the botanical to the nautical and pretty much everything in-between. You'll find that some have an incredible amount of information worth sharing. 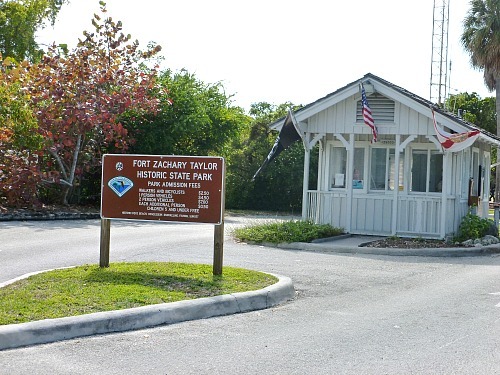 Some are also haunted, and not with just one ghost but many, or in the case of Fort Zachary Taylor, perhaps hundreds or even thousands. Almost anywhere you go in Key West Florida you can expect, if you're paying attention, to experience some "other worldly" interaction. You can also go on a ghost tour which is the best way to meet some of the local ghostly apparitions, and even catch their shadowy forms or glowing orbs with your camera or video. To keep this readable, I've chosen to provide just a simple listing on this page for those that are particularly exceptional. The short listing will then link you to another page that details all the specifics on that particular Florida Keys or Key West museum. You'll also want to check out this link for Trusted Tours. This large national company specializes in discounts on Key West tours, museums, cruises and package deals on other Key West attractions and events. They've handpicked the very best tours, and created the most popular packages to create the best Key West vacation experience possible. Please note that I'm an affiliate of Trusted Tours and Ripley's Believe It Or Not! Links to their websites for different attractions and tours are provided to give you convenience and also save you money. However, as an affiliate I do stand to receive a small compensation for referring you to them if you make a purchase. Please know that this doesn't cost you any more, because this is what being an "affiliate" means. You'll find that you'll be able to go to the exact same venues for less money. 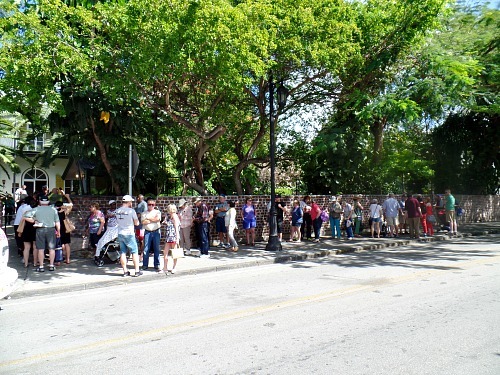 Not only will you save vacation dollars, you'll save valuable vacation time as you won't have to line up to purchase tickets, like the people below in this picture waiting to see the Ernest Hemingway House. You'll also be guaranteed your entrance by purchasing your e-tickets in advance. Plus your savings can range from several dollars to close to $30 per adult depending on the tour or Key West attraction. 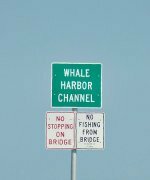 This adds up quickly, and means you'll be able to do more for less while on your Florida Keys vacation. This restored 1860's, 10 room mansion, is replete with hand painted Italian ceilings and a black walnut staircase. 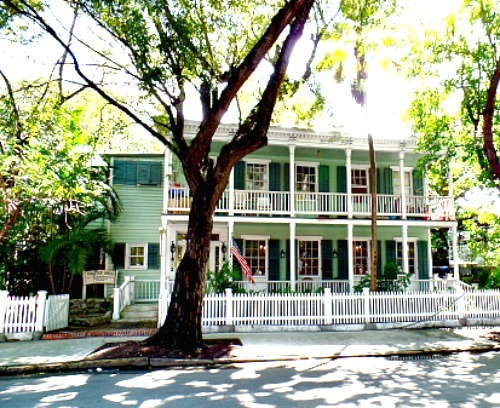 This Key West Florida home is decorated in period and is on The National Register of Historic Places. The unusual name is derived from the back alley where donkeys used to pull the milk delivery carts. This home is open by appointment only so to view call 305-296-1866. Situated at the entrance to the historic Key West Seaport and Harborwalk, the entrance is through a replica of the Key West station where visitors can take a step back into the years surrounding 1913. Era attired docents bring to life the challenges workers for the railroad endured, and the promise of hope it meant to the Key Westers. It depicts Flagler's almost insane devotion to developing this 130 mile stretch of Flagler's Folly. It also celebrates the lives and deaths of those who brought this monumental feat to fruition. Visitors are able to stroll through the mercantile store which carries an assortment of goods ranging from dolls to candy to souvenirs. There's also an original car from Flagler's Florida East Coast Railroad which houses a variety of memorabilia. Of particular interest are the narrations, eyewitness reports, memorabilia, photos, and film detailing the day an elderly Henry Flagler arrived on the Key West Extension's first train. Traveling from New York, it arrived safely at 10:43 a.m. on January 22, 1912, and was cheered on by an enthusiastic crowd. This Key West museum, through film, photos and memorabilia, also documents the building of the magnificent Seven Mile Bridge, and the devastating destruction of the 1935 hurricane. Representing one of the most pivotal points in Key West history, this museum is also part of Trusted Tours Local Legends Package. 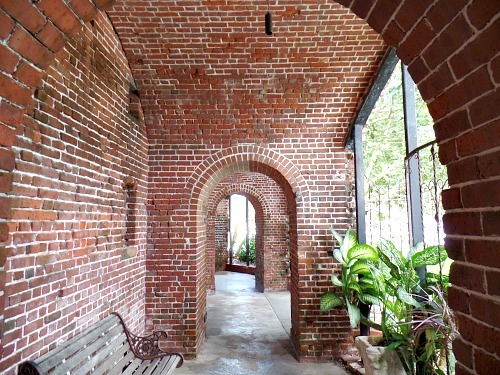 This package encompasses some of the best museums you won't want to miss when on your Key West vacation. The package includes tours of Truman's Little White House, the Ernest Hemingway Home and Gardens, Mel Fisher's Maritime Museum and Flagler Station Overseas Railway Historeum. The exploration and understanding of The Florida Keys eco-system is really an educational process as you learn about the native plants and animals that live on land and water. This facility is also wheelchair accessible and FREE. Bringing this to an interactive level is the Eco-Discovery Center. Part of the Florida Keys National Marine Sanctuary, the 6000 square foot center provides detail on Florida Keys habitats such as mangroves, coral reefs, upland pinelands, hardwood hammocks, and sand dunes. What's of particular interest is the mockup of the underwater laboratory, Aquarius. This gives you insight into the lives of the scientists who work and live underwater while on their research expeditions. History of Diving Museum is a handicap accessible museum that contains the largest international collection of artifacts and diving helmets. They include a special tribute to local diver Art McKee, who salvaged many of the 1733 Spanish Treasure Fleet ships such as the Capitana El Rubi Segundo. You'll also find an interesting, detailed evolution of diving history and a gift shop with unusual items. This wheelchair accessible open air aquarium is a terrific attraction for children. It also has the distinction of being one the first of it's kind when it opened its' doors in 1934. Various exhibits revolve around different themes. The Atlantic Shore Exhibit focuses on tropical and game fish, shark, sea turtles and a living mangrove ecosystem. There is also the American Alligator Exhibit and the Jellyfish Exhibit. The Touch Tank lets visitors have a more one-on-one experience with marine life normally encountered while snorkeling or kayaking. You can touch and hold conchs, sea stars, sea cucumbers and other interesting and unusual marine life. The shark and turtle feedings which take place each day are also a must see for the whole family. 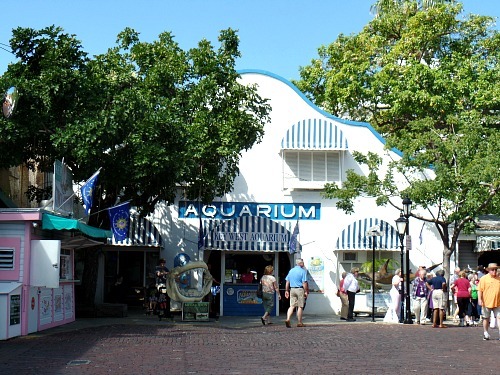 Get Key West Aquarium Discounts Here! Now closed to the public, this 19th century Key West mansion is steeped in history and is worth driving by to take pictures from the street. On the U.S. National Register of Historic Places, this beautiful home has been in the Porter family for generations. Robert Frost stayed in the cottage in the garden for 16 winters. Sally Rand, the burlesque dancer frequented the Porter home. Gloria Swanson the actress from the Silent Film era did so as well. Writer Thornton Wilder and playwright Tennessee Williams are two other notable guests who enjoyed this beautiful home, and the generosity of the Porter family. Spurred on by ravaging tropical storms, each year large numbers of ships broke up against the rocky shores of Key West. Then came the era of lighthouses, and their keepers. Recounted here is the history of these "keepers of the light" and their vital importance in nautical history. If you're up to the climb, you can also ascend the 88 step spiral staircase that takes you to the top of the Key West Lighthouse and enjoy an absolutely spectacular view. This also happens to be one of those Key West museums that's reportedly haunted. 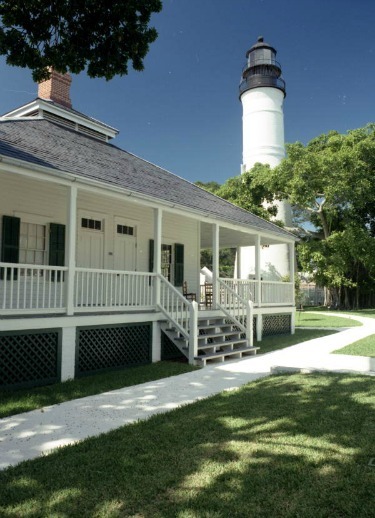 Watch as you climb the staircase, you may encounter the ghost of Barbara, the dedicated Key West lighthouse keeper. The Key West Museum of Art & History at the Custom House is a beautiful, reddish, unmistakable building. 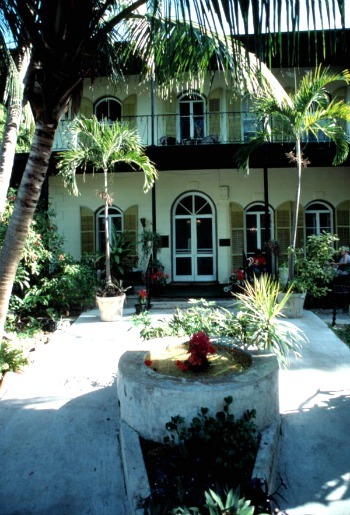 This popular museum houses a number of exhibits covering the span of Key West history. Displays range from Flagler's Overseas Railroad (or Flagler's Folley), to information on early Key West settlers, even letters and belongings of Ernest Hemingway. On January 22, 2012, this Key West museum also hosted a special exhibit celebrating the 100th anniversary of Flagler's railroad. Wreckers and shipwrecks were a huge part of what was Key West Florida. 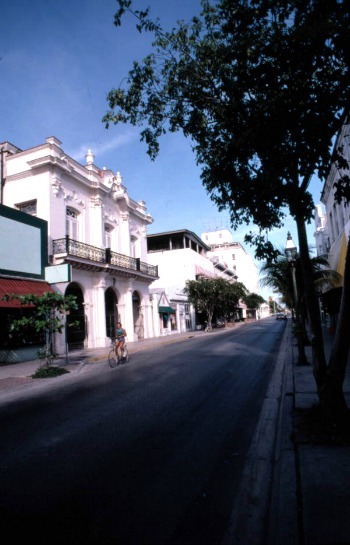 It's also the reason Key West was once the wealthiest city in the United States. The wreckers were able to salvage the riches smashed against it's rocky coast each year. 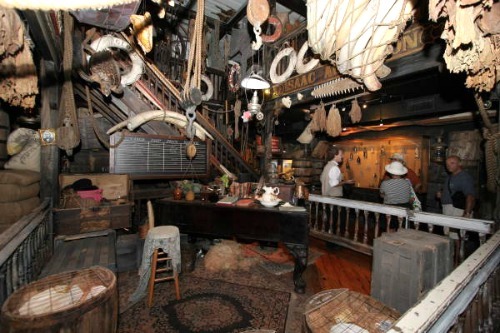 Providing partial handicap access, this museum in Key West brings history to life through film, and costumed actors who recreate the events and salvage of the 1856 shipwreck, Isaac Allerton. 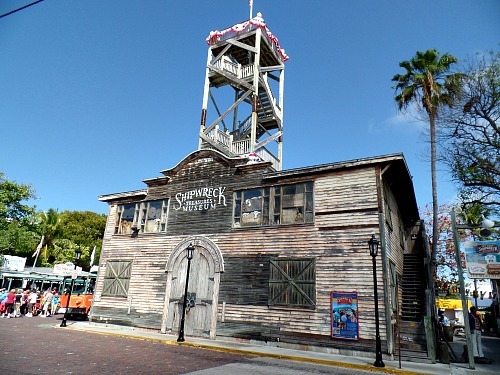 Located adjacent to Mallory Square, the Key West Shipwreck Museum is a reproduction of the original wreckers warehouse, and on display are artifacts recovered from the shipwreck. You can also enjoy an amazing view of the Atlantic Ocean from the 65 foot observation deck, and envision a ghostly wreck smashing against the jagged rocks. Save On Key West Shipwreck Historeum Tickets! The Key West Tropical Forest and Botanical Gardens is located a few miles off the beaten path but this handicap accessible tropical destination is definitely worth the stop. The botanical garden is a must see for the nature enthusiast, or anyone who just appreciates beauty. The only frost free garden in the United States, the grounds serve as home to migratory birds and a wide variety of threatened and endangered plant, and animal species. As you stroll the beautiful botanical gardens you'll have a chance to view a variety of flora and fauna including a vast selection of butterflies. You may even get lucky and spot one of America's majestic bald eagles. Handicap accessible, Ripley's focuses on the weird, the unusual, and the bizarre. Selected from more than 200 countries, this museum in Key West feature over 500 exhibits that bring you face to face with some of the world's greatest oddities. This Key West museum and theater is the iconic symbol representative of the Cuban fight to win freedom from Spain. Now fully restored and in it's new location, this Institute was originally founded in 1871 by Cuban exiles. Functioning as a museum with permanent and traveling displays, it also is an art gallery, and a theater capable of seating 360 people. It was in 1892, in the original building, that Jose Marti, a legendary Cuban patriot and poet addressed representatives from Florida's Cuban community. During their meeting at "La Casa Cuba," Marti shared his dream of forging a properly backed plan to win Cuba's independence from Spain. This meeting resulted in the formation of the Partido Revolucionario Cubano. Today, visitors can tour the beautiful rooms and displays that feature the life of Jose Marti, the Presidents of Cuba, the aviation history of America to Cuba, the history of the Institute, and a study of Cuba through it's postage stamps. This 501(c)(3) facility is open Friday to Sunday from noon - 6 pm. Admittance is free and donations are appreciated. There are so many things to see and do on your Florida Keys vacation. The whole area presents an exciting and unique blend of opportunities waiting to be explored. Take time to learn about the Florida Keys adventurous, often dangerous past and it's bountiful beauty. All of this and more is presented and preserved in the many interesting Florida Keys and Key West museums awaiting your discovery.